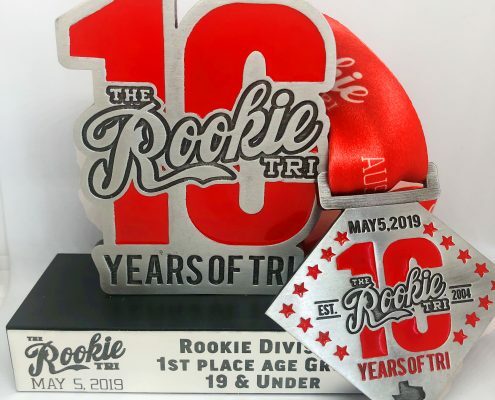 Starting at 19 & under and going to 75+ in 5-year increments, the top 3 Males and top 3 Females in each age group will receive awards. There are separate awards for Rookie, Veterans, and Open Divisions. Top 3 Overall & Female will be awarded in the Open division. Aquabike and Relay will be awarded Top 3 Overall, independent of age group. See Schedule for Awards Ceremony. 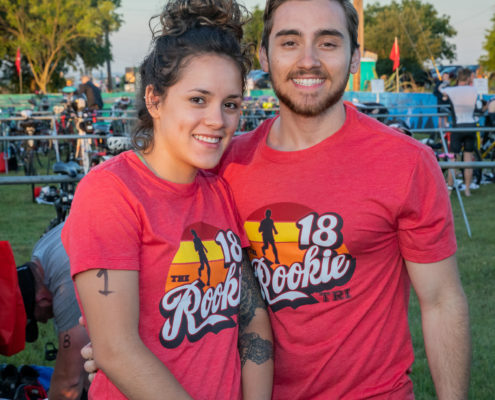 The Rookie Triathlon is unique in that it has separate division for triathletes of different levels. These different triathlon divisions have separate swim starts and separate awards. So even if this is your first triathlon you could walk away with a First Place Trophy!! This division was created to support those who are just getting into the sport, the “true rookies” if you will. 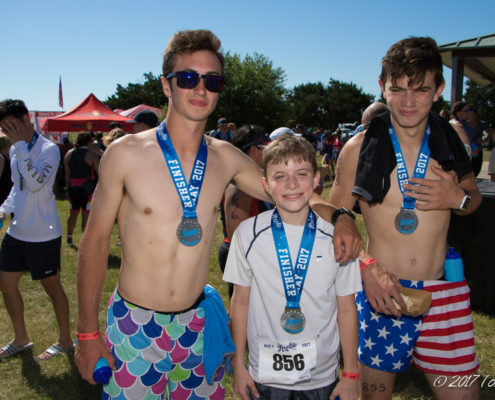 To participate in this division this event must be your first or second triathlon. Those signed up as Rookies will start the swim together based on age group categories. The swim will be a time trial start with 2 people entering the water approximately every 4 seconds. This division is for everyone who has done 2 or more triathlons. Do not worry you do not have to be competitive to participate in this division. Swim waves will be based upon age group categories. The swim will be a time trial start with 2 people entering the water approximately every 4 seconds. The open division exists for those wishing to go head to head regardless of age group. This keeps the age groups friendly and allows for some seriously fast times and course records. This is the only division with a mass swim start.